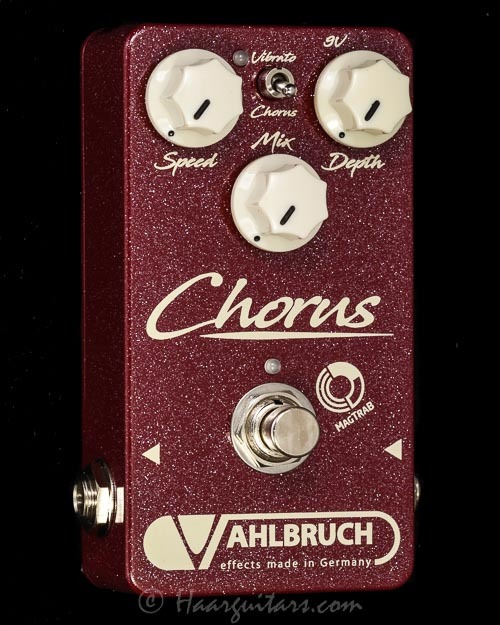 The “Chorus” is an analog, hand-build, highly versatile modulation effect pedal and one of the finest chorus pedals in existence. Its unique circuit is carefully designed around a new-old-stock MN3007 BBD-IC to generate authentic shimmering chorus but also leslie-like sounds at a modern low electronic background noise level. Each unit is trimmed by hand to guarantee the desired and beloved homogenous modulation curve. 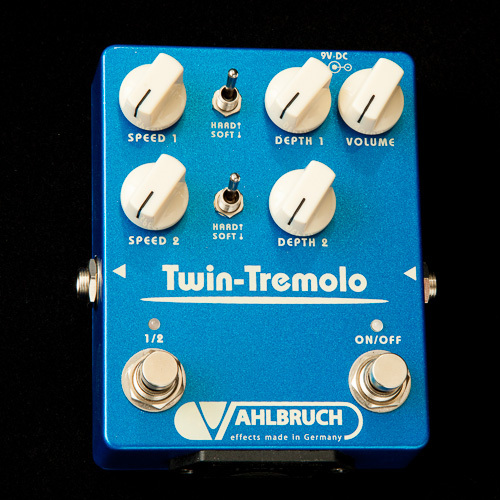 This qualifies the pedal for any studio work and professional live performance. Controls include “Speed”, “Depth” and “Mix”. A constanly fshing LED indicates the modulation rate. 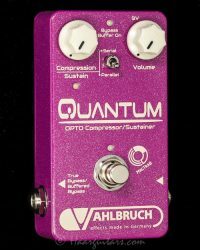 Reduced “Speed” but high “Depth” seetings give you a really lush, watery and wide chorus sound, which can be perfectly intensity balanced using the “Mix” knob. 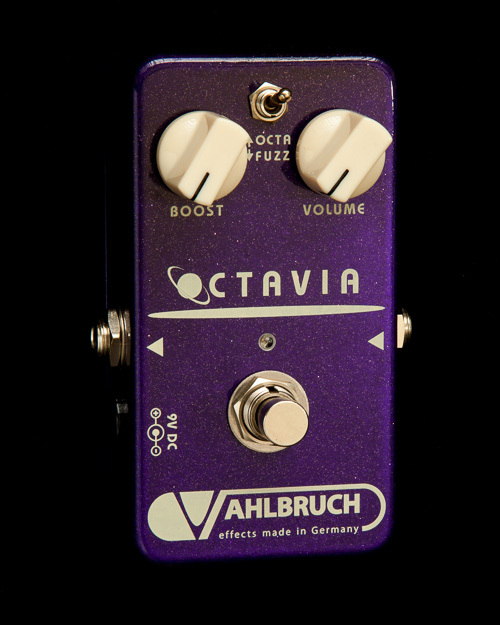 Using the toggle switch you can also select a “Vibrato” (kill dry) mode. In this setting the “mix” knob controls the vibrato volume level. The vibrato ranges from subtle to very deep and intense. Unlike many other pedals, this “Chorus” does not alter your guitar signal phase and is therefore also perfectly suited for any parallel effect loops and stereo setups.